Has anybody here ever heard of a white seedless longan tree? I saw them for sale but not cheap. Well i have one of those totally seedless longans now, a grafted one. 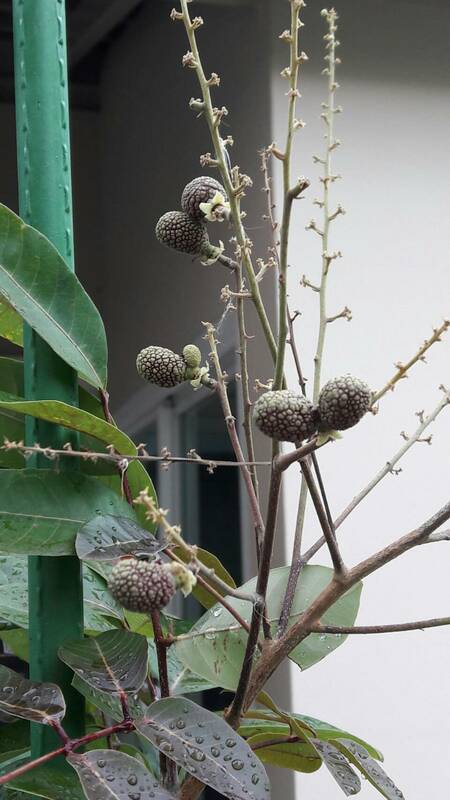 Also i have a hybrid lychee/longantree, have you ever heard about that one? The vendor made that himself. And another black longan which has different leaves then the fiji longan, it has dark red leaves in different shape. Well i will put pics of them here later, am busy now transporting them. I have the hybrid, black longan and seedless white longan now as grafted tree's. I asked the vendor if i can show you a pic of the fruit, if so i will post it here. These pics are of the first naturally grown hybrids in northern thailand, 20 years ago. Also there are australian researchers who made this hybrid before. The vendor made the same hybrid but he used the best litchi and best longan from thailand. They checked it's DNA and it is a hybrid litchi/longan. I'm just telling you what they tell me. I'm no expert. I have to correct myself about the longan, it is a red longan not black. Do you believe it now Mike? 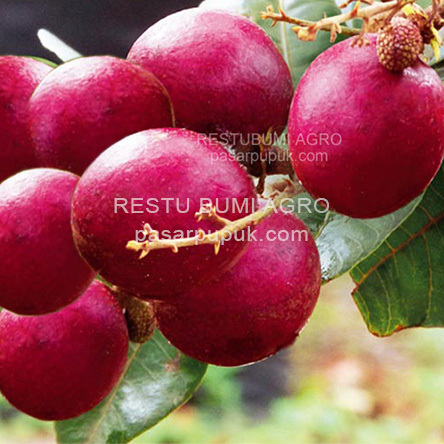 This is the red longan. Mike i can't find any totally seedless white longan so i asked it again..it has aborted tiny seeds as you assumed. But it is not the durian-longan and it's everbearing. Sounds good to me, happy to grow it. The red looks like the viet purple which isn't supposed to be exceptional quality. Everbearing? Wont be longan and wont be producing in Bangkok. Must be another species. The vendor imported those longans from Indonesia. His own tree of the white produces fruit all year he said and they don't smell/taste like durian. Just like longans. The red is very expensive in Indonesia but also that doesn't say much except that it must be new there as well (maybe imported from Vietnam?).. My longans will fruit within a year (grafted tree's) the vendor said...we will see, i put them in full sun now, together in a big pot. I'm just tired of those brown longans i see here all the time so i grow something else. My vendor is a big player though with a "real" shop, not a marketvendor who disappears like most of them do. So now i grow pluots, white and red longans and hybrid litchi/longan..Let's see which one really gives fruit here in BKK. It was 15 celcius this night, maybe that helps. The white longan has flowers now, i 'll let them grow even if the tree is still very small. 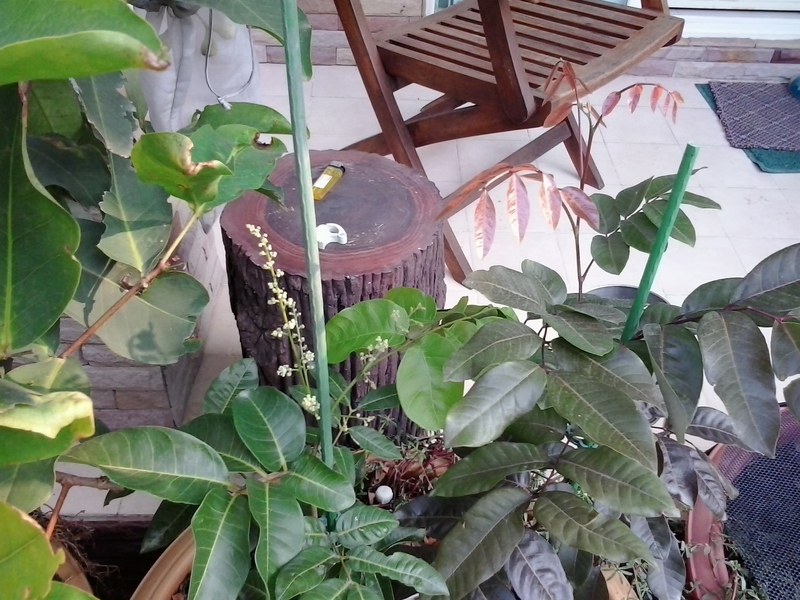 On the right side is the red longan with beautifull red colored leaves. In Indonesia we call it "Lengkeng Matalada". It taste very good with small seed like pepper. Or the other "lengkeng aroma durian". Both of them are imported from Sarawak malaysia. About the "lengkeng merah" in Indonesia is from U.S. but imported from malaysia. Thank you Alvin, 2 weeks ago (on Chatuchak plantmarket) i saw a white longantree for sale (1.5 meter tall) with many white longans on it. The red longan i still have never seen in real, only on internet. Here are my first red longans. The white seedless longantree suddenly died while it was planted 20 cm away from this tree in the same large pot. The nice red ones on the other picture is what they should look like i guess. To me they look very different.